Amazon, the giant ecommerce company, wants to hire hundreds of MBA students this year. Amazon's director of university recruiting explains what you need to get hired. Amazon, the giant ecommerce company, has been hiring more MBA graduates every year for the past five years. But the world's largest online retailer wants to hire hundreds more between now and 2016. Miriam Park, Amazon's director of university recruiting, says they have great relationships with business schools, and recruit top talent wherever it may be around the world. Many senior leaders at Amazon are MBAs – and she sees MBA hires as an important leadership pipeline. With a career at Amazon, you'll have the option to work globally, and in areas including product management and operations, with rotational programs in retail and finance. There are also a crop of internships for MBA students, lasting 11-12 weeks. To stand out and get hired, Miriam says you need to show the company that you've invented or owned something that delivered results for customers. What job opportunities are there for MBA students? MBAs have many different opportunities at Amazon, including roles in technical product management, product management and operations, along with rotational programs in retail and finance. Do you offer specific leadership development programs? We offer several programs focused on providing MBA hires with the operational and leadership skills to grow as a leader at Amazon. Do you offer MBA students internships, and if so what is the duration and area of business? Absolutely – our internship program generously seeds our on-campus hiring. It’s an 11 to 12 week program and we give interns the opportunity to own projects from day one – we often hear that they’re both surprised and excited about the level of ownership they have, and the kinds of issues they get to tackle. We have interns across many areas of our business, including in technical roles, retail, operations and finance. Which skills are you looking for in your new hires, and are soft skills an important factor? Our leadership principles provide a great outline for the kind of people who thrive at Amazon. We look for MBAs who want to be owners, who are obsessed with our customers, and who like to invent and take on big challenges. In terms of specific past experience, we look for candidates who can show us a track record of success – a history of delivering results. What you’ve done is more important than where you’ve been. Why do you value MBA degree holders? MBAs are very strong problem solvers and analytical thinkers, which makes them a really great leadership pipeline. We see MBAs thriving at Amazon because they love taking ownership of big projects and solving hard problems for our customers. How many new MBA hires are you planning to take on between now and 2016? Our MBA hires have been growing every year for the past five years and we hope to continue that trend. We don’t disclose specific numbers, but hire in the hundreds globally. We see them adding long-term value across Amazon. Do you recruit from any specific business schools? We recruit top talent wherever it may be around the world. We feel very fortunate to have great relationships with a lot of excellent schools. What can an MBA student expect in terms of career progression – in both verticals and geography? 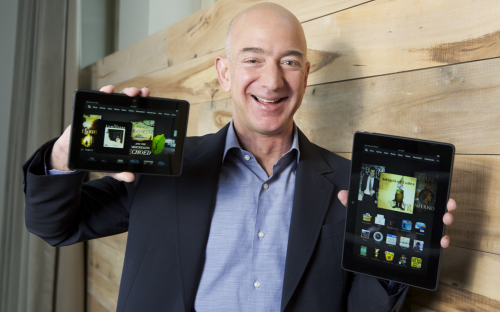 We see MBAs as an important leadership pipeline – many senior leaders at Amazon are MBAs. We support MBAs in finding opportunities both across the business and across geographies if they’re interested in exploring a new team or country. MBAs are able to move across our businesses during a career at Amazon, which allows them to grow, and to use their degrees in ways they may not have considered while in school. How can MBA students stand out in the recruiting process? Show us that you’ve invented or owned something that delivered big results for your customer. We’re far more focused on what you’ve done than where you’ve been.